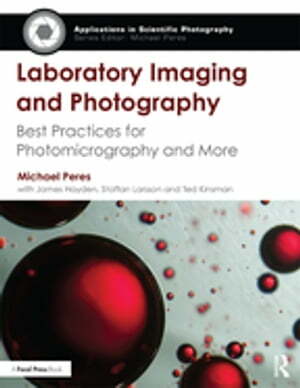 Collins Booksellers - Laboratory Imaging & Photography by Michael Peres, 9781317593003. Buy this book online. Laboratory Imaging and Photography: Best Practices for Photomicrography and More is the definitive guide to the production of scientific images. Inside, the reader will find an overview of the theory and practice of laboratory photography, along with useful approaches to choosing equipment, handling samples, and working with microscopic subjects. Drawing from over 150 years of combined experience in the field, the authors outline methods of properly capturing, processing and archiving the images that are essential to scientific research. Also included are chapters on applied close-up photography, artificial light photography and the optics used in today’s laboratory environment, with detailed entries on light, confocal and scanning electron microscopy. A lab manual for the digital era, this peerless reference book explains how to record visual data accurately in an industry where a photograph can serve to establish a scientific fact.